** Click on “download the program” partway down the page. 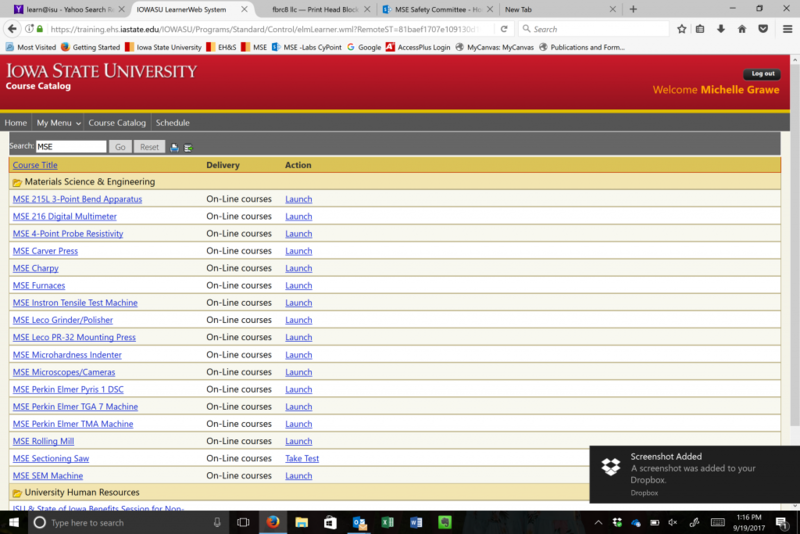 **Login with your Learn@ISU account and use the keyword “MSE” in the search bar in the course catalog. See pictures below. 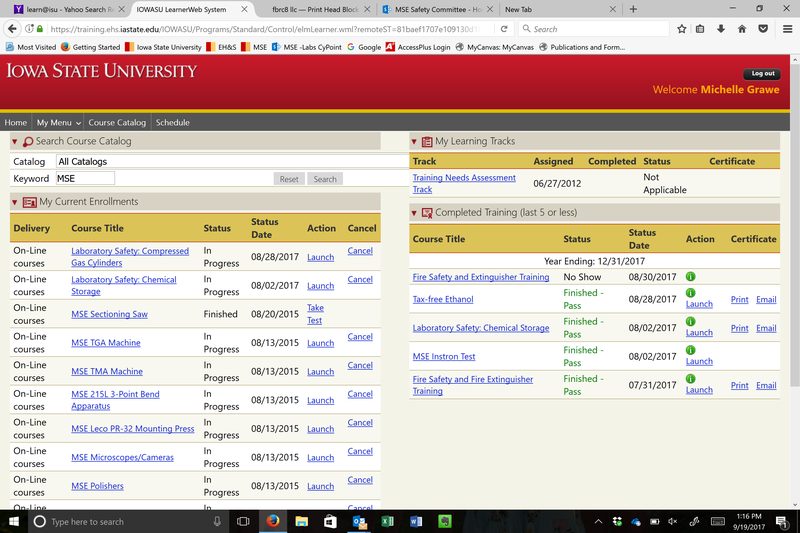 If you would like to reserve time to use our laboratory equipment or to sign up for training, please visit our scheduling website.